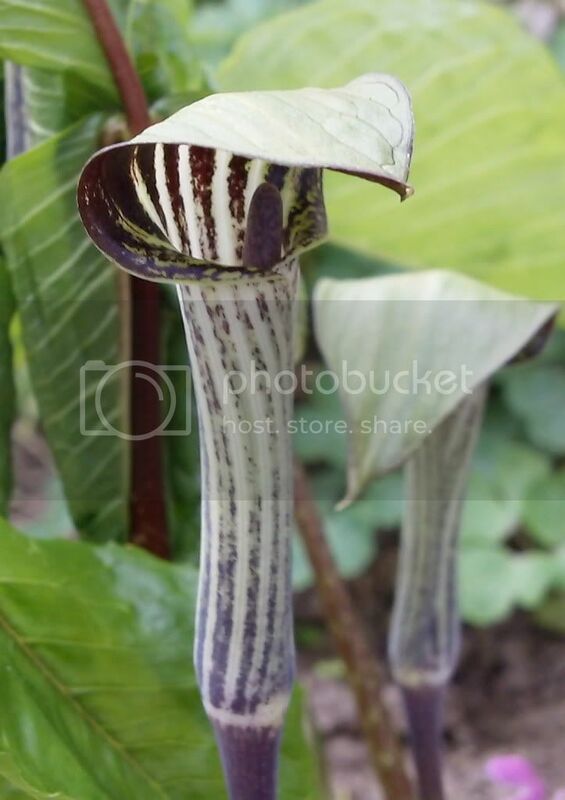 Arisaema is known to most people as simply 'Jack in the Pulpits'. They come in all different heights and colors, and are growing in popularity in the shade gardening world. Some can be very slow growers, taking years to show up above ground. They produce interesting flowers in spring and sometimes in summer, depending on the variety. Then in fall they make another display with their bright red berries.